To double farmers’ income by 2022 the Cabinet Committee on Economic Affairs (CCEA) has approved creation of FAIDF recently. The proposal for creation of fund was made in budget 2018-19. It is a fund created by the Government of India for enhancing infrastructure financing in the country. It is registered as a category II alternative investment fund with the Securities and Exchange Board of India. A sort of sovereign fund, for development of infrastructure projects, including the stalled ones. It has been set up as fund of funds structure with aim to generate risk adjusted returns for its investors alongside promoting infrastructure development. It aims to attract investments from both domestic and international sources for infrastructure development in commercially viable projects both Greenfield and Brownfield, including stalled projects. It has proposed corpus of Rs. 40,000 crores (around $6 Billion). Government’s contribution to NIIF is 49% of total commitment at any given point of time. The remaining 51% will be raised from domestic and global investors, including international pension funds, sovereign wealth funds, multilateral/bilateral investors. Its Governing Council is chaired by Finance Minister and has already been set up to act as an advisory council to the NIIF. 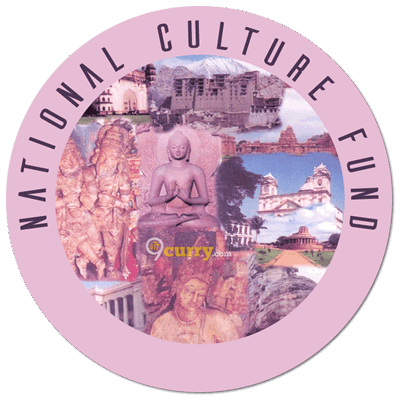 NCF was established as Trust under Charitable Endowment Act, 1890 as funding mechanism distinct from existing sources and patterns of funding for arts and culture in India. It aims at inviting individuals as well as private institutions in the task of promoting, protecting and preserving India’s cultural heritage. It is managed and administered by council headed by Union Culture Minister and decides the policies. Its Executive Committee is headed by Secretary, Ministry of Culture which actualizes those policies. All projects undertaken by NCF are completed within specified period in accordance with MoU signed by it with concerned donor organization. Union Government had granted one-time corpus fund to NCF, apart from this, there is no fund allocated to it from government. It receives contributions and voluntary donations as endowments from many other sources. Donations and contributions to NCF are eligible for 100% tax deduction under Income Tax Act, 1961 subject to limits and conditions prescribed.